I grew up on a dairy farm in New Zealand at the foot of Mount Tarawera. My father used to take me up its slopes in our family’s blue tractor to explore its craters by foot. Then one day, I returned to find I had become a trespasser to what had long been home. Te Arawa, an indigenous Maori tribe, had resumed guardianship of their sacred mountain, with power to protect its wonders by limiting access. I was among those excluded, identified as an outsider, alien to my heritage. While I felt dismayed back then, I came over time to appreciate what outside status means, and the perspective has given me a critical insight into ensuring stability of the natural systems on which we all depend. New Zealand is today renowned for ecotourism. But even in the 1800s a stream of visitors came from afar to see the glorious Pink and White Terraces. Some 130 years ago Te Arawa chiefs grew so concerned that they sought to protect these sites. Before they could, Mount Tarawera erupted so violently that it split the earth beneath Lake Rotomahana. The terraces were gone, the landscape changed forever. I left the family farm for a career as an environmental engineer, a job understood to entail managing resources like land, water and waste. 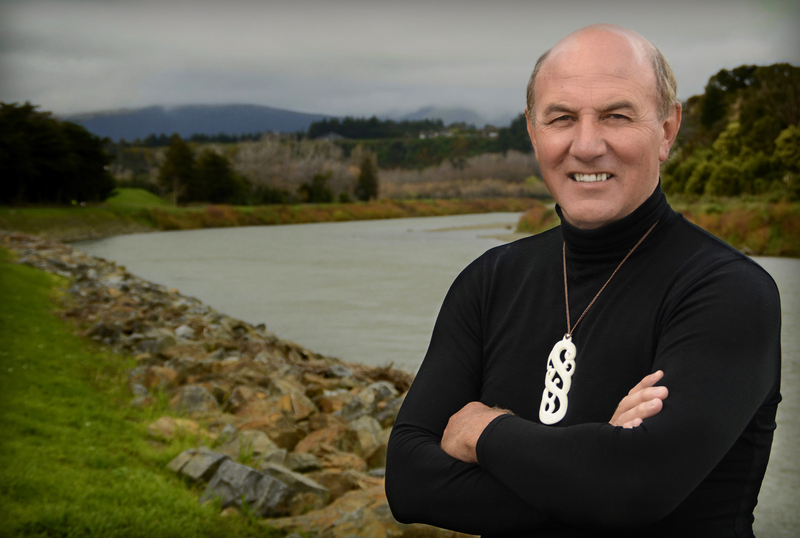 My job often kept me distant from people, but working for local government–and with the local Rangitane o Manawatu tribe–opened my eyes to how human and natural resources are closely interconnected. It didn’t start off well. When we first met, I was considered guilty by association by the Rangitane leaders, for the decades of discharging wastewater into the Manawatu River that gives the Maori their identity. To rebuild trust, I knew my engineering background and credentials would no longer suffice. So I dived into the literature about how the Maori used, cared for, and shared, their natural resources. It began with just one paper, but I soon grew immersed in the Maori protocols, knowledge, language and traditions that were central to how resource rights were allocated. Sir Eddie Durie’s 1994 work on custom law showed me how different the Maori concept of land and rights are, compared to the Western written legal system that had been imposed on them. Maori traditionally do not claim to own the land as individuals but rather acknowledge that the land sustains them and so gives them their collective tribal identity. Transfer of land was through succession. Outsiders could be gifted land but not indefinitely, for they had to contribute reciprocally to the tribal collective. I was shocked at how much their traditional rights–rights which helped society adapt to change over hundreds of years–had been eroded by wave after wave of “modern” settler laws. This divergence is hardly unique to NewZealand. Australia, Africa, Asia, the Americas and even Europe all bear the scars of oral codes about legal tenure and rights being uprooted by colonial powers that have imposed regulations or assumed the right to decide. Slowly, too slowly, in New Zealand these written laws have begun to give more recognition to the nation’s founding Treaty of Waitangi. It is not a return to the old but the creation of new hybrid ways, such as co-management; giving the Whanganui and Waikato Rivers legal status as living entities; or respecting indigenous freshwater fisheries. Honouring this richer, more complex foundation, our engagement shifts from collaboration to empowerment. This contrast can be disorientating, so I take every opportunity to highlight where we have achieved positive outcomes with Rangitane on water projects, especially when there is prejudice on either side. Local government has now been directed to ‘take reasonable steps’ to involve the Maori in the management of freshwater. This sounds new and progressive. It implies the need for mutual respect. However, the Maori are more than stakeholders, and their version, Te Tiriti o Waitangi, never really relinquished the chieftainship of the tribes, including control of resources. Waitangi can be translated as weeping waters and sadly, full indigenous water rights remain unrecognised. While I have been confronted with a deep and overwhelming need for natural justice, a spring of hope wells up in me. For the people I have met are on the same journey; they have taught me that I am indeed a person of Te Tiriti, which gives me a place to stand next to the people of the land. Recently, I discovered in Sir Eddie’s writings about Maori law and water rights that the Maori entered into commercial arrangements with early settlers around access to water. Yet there is no provision of this in law today, which troubles the Maori, since vast volumes of spring water are being bottled for export without their oversight or recognition of their rights. There is much hard–yet exciting–work left for us to do. Near my parents’ farm sonar has led to the recent re-discovery of the White Terraces. All along, what used to be, has always been there, a treasure of Te Arawa hidden in mud beneath the waters of Lake Rotomahana, waiting to be recognised. By respecting the old customary ways, we open ourselves to discover new wonders in our midst. 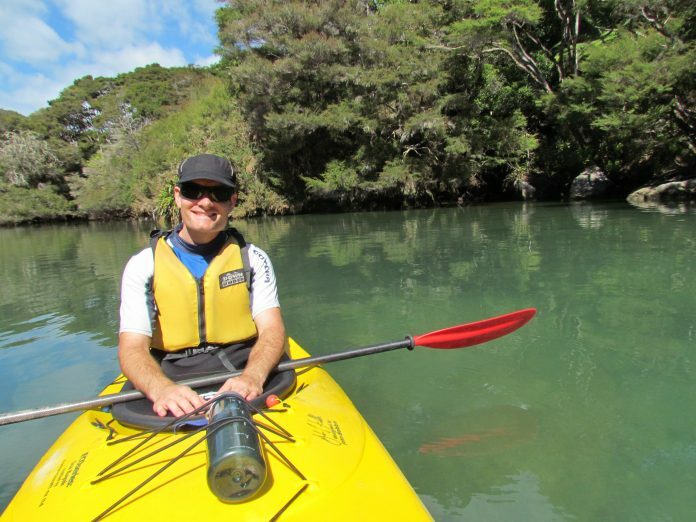 *Shane Allen works for local government as an environmental engineer with 15 years of experience; collaborating with Rangitane o Manawatu (indigenous Maori tribe) to help deliver water and waste services.